This may seem like a strange topic given that it has been years since I’ve actively taken on health coaching clients. However, I still average two or three emails a week from people asking questions about becoming a health coach, largely as a result of coming across this post. I always wants to be upfront that my personal experience may be a little outdated, but I am happy to share all the details on my path and job of owning my own health coaching company. Consider this post a FAQ of the most common questions I get emailed about! 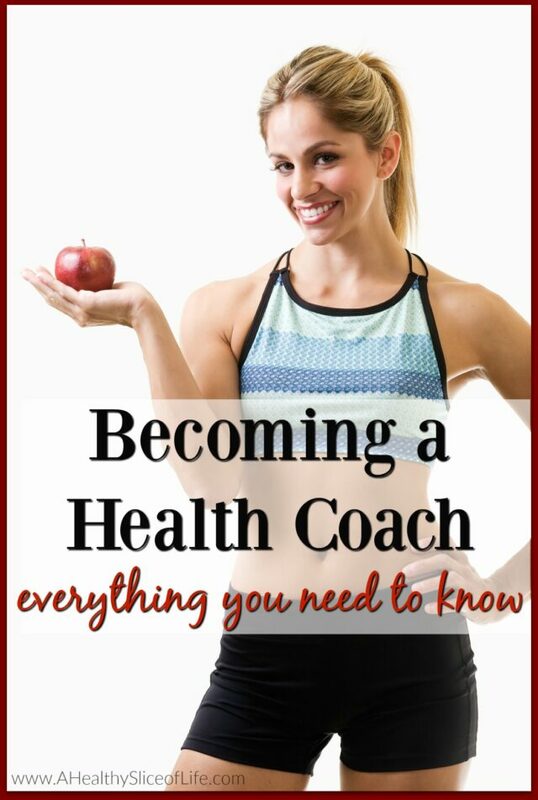 How did you become a health coach? Though my degree is in journalism and a minor in psychology, I was only a few credits short of a minor in nutrition as well. I’ve always loved health and nutrition, but for some reason (perhaps the extended years of educational requirements it takes to become a RD? ), I didn’t consider it for a career path. I went into advertising, working at an agency in Atlanta, then moved to sales for a Charlotte sports radio station. I knew this wasn’t a good fit for me, and kept feeling pulled towards health and nutrition. Finally, I decided I had to make the jump. I visited Winthrop (a college with a great nutrition program just south of Charlotte), got the wheels turning to enroll (I would have to complete a few undergrad credits before applying to the program), quit my job and started working part time at a fitness center in anticipation of working part time while in school. Well, as fate would have it, at that time I came across a job listing for a health coach at Total Nutrition Technology. After several interviews and their explanation of how I could do what I really wanted (work with people to better their lives through health and nutrition) and skip what I wasn’t excited about (organic chemistry), I got to work on my certifications. Meanwhile, TNT trained me, offered incredible support and basically set me up to run my own office under the watchful eyes of a registered dietitian. It was a fantastic setup in that I was able to work with people one on one, but had a professional registered dietitian overseeing all plans and questions, keeping this well within the scope of practice of a certified health coach. When David and I moved north of Charlotte, I parted ways with TNT and after a lot of thought, decided to open my own company, structured slightly differently. I opened NEW Lifestyles and offered metabolic testing, personal nutrition plan creation and one on one coaching. I partnered with a fabulous RD (Hi Heather!) on a contract basis to oversee all plans and make sure I was always within North Carolina’s legal boundaries. After I had Hailey, I decided I wanted to stay home, which led me to close my company. I still have my metabolic machine and an occasional itch to work with clients one on one again. Maybe one day! How did you get certified? What company did you go with? This was several years ago, so I’m sure a lot has changed — please keep that in mind. At the time I was looking into certifications, there were 3 names that were very well-respected- NASM, ACE and ACSM. After researching all that each one offered, it seemed the best fit for me was ACE. I first got certified as a group fitness instructor, then as a health coach. I felt the certification plus my training with TNT more than prepared me for a career as a health coach and clearly defined my scope of practice, which was very important to me. How did you get clients? I always hated this part because I do not excel in sales and getting clients is largely selling yourself and your services. I did a lot of health fairs, setting up booths at health food stores, gyms and races, and networking with like-minded professionals. With TNT, a complimentary health assessment was always available for new clients and they had a wonderful computer program that would give a detailed picture of a person’s current health and future risks. When I opened NEW Lifestyles, I did much of the same, but also set up metabolic testing days at local gyms, which proved to be a great way to meet potential clients in a more natural setting. Did you have an office or meet clients at their homes? With TNT I had my own office. At first it was inside of a gym, then I moved to inside of a health spa. With NEW Lifestyles I sublet an office inside a chiropractic practice, which worked out great for cross-promotion as well as keeping overhead low. What was most challenging about being a health coach? For me, it was getting clients. Again, I hated sales and struggled with selling myself even though I strongly believed (and had past clients to prove) that I could offer real value. I also struggled with wanting to help people who deep down did not want to help themselves. It was hard to meet with people each week who were more set on complaining about their health than motivated to change it. What did you like most about being a health coach? My clients, for sure. You want to talk about a fulfilling career? Helping people reach goals that didn’t think were possible is absolutely the highest of highs. I loved the one-on-one aspect. Since health looks differently to each individual, I found it exhilarating to tailor each plan and strategy to a person’s specific needs. I even enjoyed combing over food diaries and exercise logs. I’m a natural cheerleader and loved being the one to encourage people along the way and share in their joy when then reached success. How much can a person make as a health coach? As with everything, there is a large range. It is fully dependent on services offered, hours worked, and like any business, how much you put into it. If I remember correctly, my basic plan which included an initial consultation (45 minutes), a metabolic test and plan review (1 hour) and one follow up session (45 minutes) cost $250. I offered add-on services like additional in-person sessions, email/online support, nutritional entry monitoring, etc for additional costs. Many health coaches are in private practice, so you can set it up almost any way you please. I also worked closely with a company that was venturing into corporate wellness and there are other unique opportunities though that avenue as well. Do you have to have insurance? Yes, I had general liability insurance. I also had my company set up as a LLC and had a lawyer draw up liability release forms for clients to sign. It’s worth reiterating that I also always worked with a registered dietitian. These professionals are highly educated and super helpful. Health coaches can not ‘prescribe’ nutrition the same way a registered dietitian can and there are other differences as well (which are taught during the certification process) to ensure a health coach stays within their scope of practice. I hope this helps answer some of the most common questions people have about health coaching. If I missed anything that you are curious about, please leave a comment asking it and I will answer and add it to the post. My hope is that this can serve as a comprehensive insight to a career as a health coach (from a single perspective of course!). Do you have any questions about health coaching? Is health coaching a career you are interested in? Thank you for this! I just talked to a local school about getting my RD and realized that it just wasn’t going to happen anytime soon. It’s a full time program, they offer no night courses and the adviser flat out told me that I would have to quit my job at some point. As the breadwinner, and with a toddler it’s just not feasible for our family. This post was a good reminder that there are other avenues I can take in nutrition. I have often thought of some genre of health coaching, yoga, personal training, etc, but then I think of the self promoting. Ugg. What a drag! Oh, I love the idea of combining your two passions- sound like some great synergy could come from that! Great post! Thank you so much for the respect you give to RD’s! I am an RD and find that there is a lot of confusion out there about what a dietitians or nutritionist can do, and what the credentials mean. This post was also a nice way to learn more about you! I pretty much started following you when you were pregnant with Hailey, so I didn’t know much about your pre-baby life. I’m glad you liked the background info! 🙂 And congrats on being a RD too. After researching it, I know how much work goes in to becoming one and I have mad respect for those that pursue it. This was really interesting! I am in the later stages of becoming an RD and I always wondered what being a health coach was about. I love that you worked closely with an RD, it seems like the two of you could really accomplish a lot together. I’d love to have a private practice eventually, though getting clients is definitely the scariest part to me! Thanks for the ideas of how-to. Brittany, I am a current stay at home mama of 6 and I am just now trying to figure out which school to attend for health coaching. Would it be too much trouble for you to private message me via email? I just have a couple of questions for you and I value your opinion. The right decision is imperative due to our financial circumstances and the time investment that will require me to be unavailable for my kids. It would be a blessing for me.